Not only Olivier Dupon has been a regular contributor on The Eye of Jewelry foreseeing exclusive interviews with keys jewelry players within our industry, but on his not-so-spare time he has always writer and a talented one. As a matter of fact, Dupon has spent over a year putting together a book called: Fine Jewelry Couture: Contemporary Heirlooms – where he enlightens who are the upcoming jewelry designers and rising talents we cannot pass through without noticing. 1-How do you define « fine jewelry » vs. « high jewelry »? 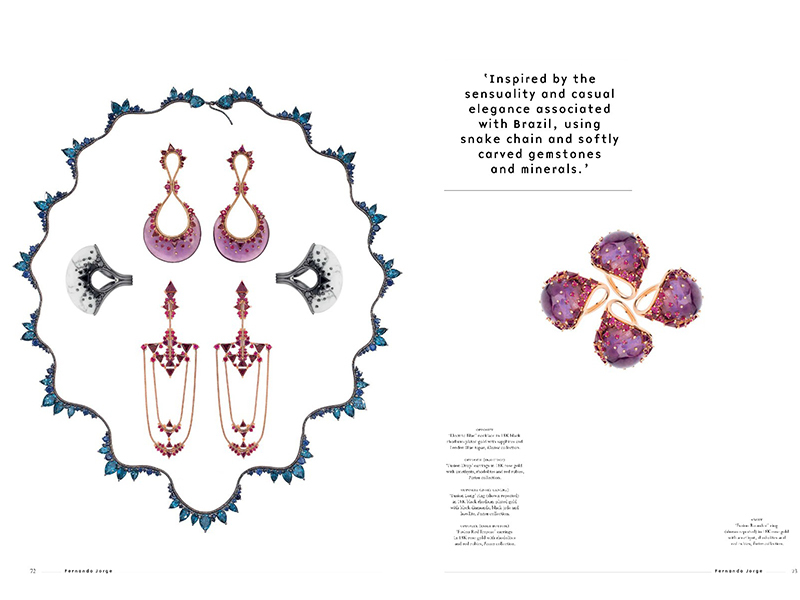 The book is an attempt to precisely demonstrate that the boundaries between fine and high jewelry are blurred in some cases. The title uses the word ‘Couture’ in reference to Haute Couture, the epitome of fine garment making with hours of painstaking sewing, lavish embroideries and structural prowess. 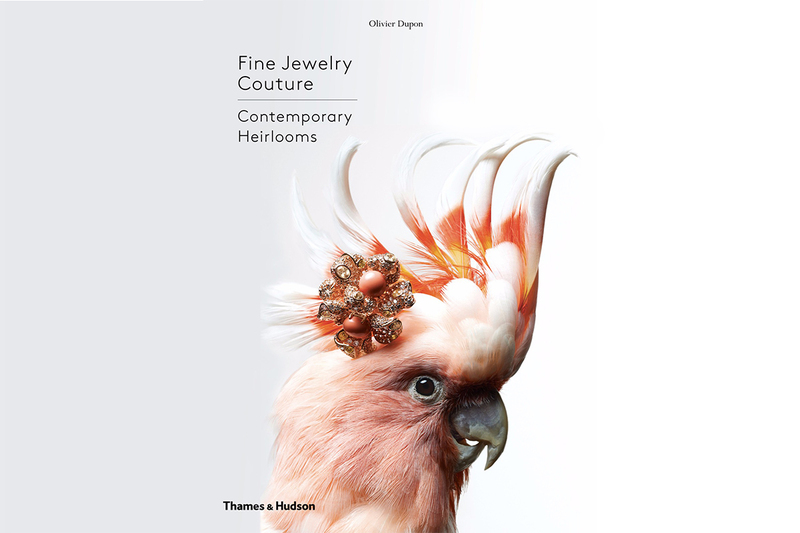 Although generally speaking the jewelry equivalent to Haute Couture is Haute Joaillerie (high jewelry), the book concept was to subtly extend this reference and showcase the idea that ‘Couture’ could also apply to a section of fine jewelry, which has become more ‘high end’ in terms of exquisite craftsmanship and narrative. 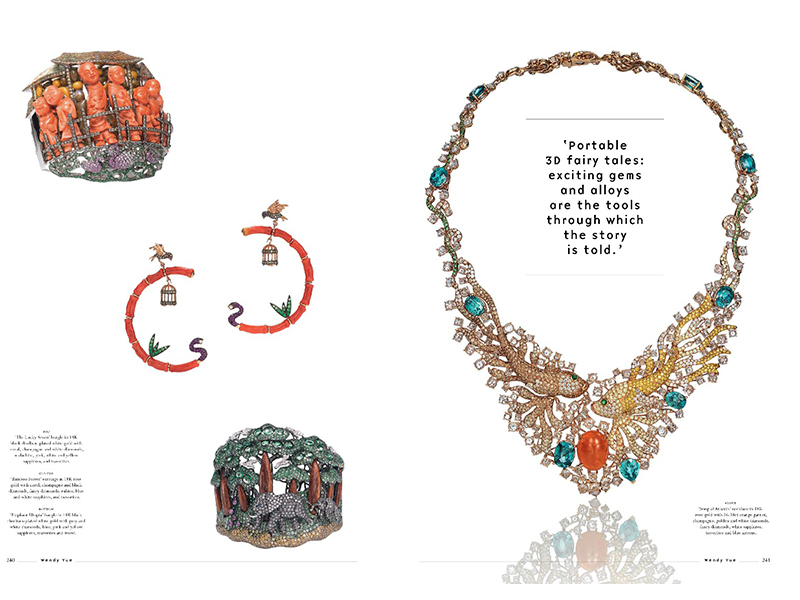 2- How can a fine jewelry piece be more wow than a high jewelry piece set with a huge central stone? It is a question of elaborate compositions, intricate structures, out-of-the-box thinking and above all a sense of exploring new and exciting territory. A formula to achieve the said WOW factor. It is true that high jewelers are a byword for rare and exceptional gemstones, and by prioritizing value over creativity they end up connecting just with the investment aspect of the piece; whereas some fine jewelers had to fall back on their creativity first and foremost, in order to compete, and as a result their designs tap into both the emotional as well as the investment aspects. 3- What made you choose a designer over another? Admittedly I went with what sets my heart aflutter. I already knew most of the designers, and it did not take me long to identify names who would stand out for the project. 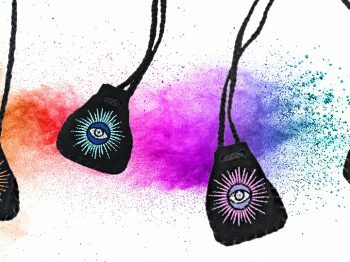 Most importantly, I set my sights on selecting practitioners whose creative approaches are different from one another (no two collections are similar), designers with a strong vision and the ability to provide an inspiring back-story for each of their creations. In addition, as in my previous books, it was crucial to shortlist designers from across the world. Geographical and cultural heritages do indeed add another layer to the richness of interpretations. As a result, the sheer variety of content creates a multi-dimensional book in terms of techniques, materials and styles. 4- Who is the biggest crush? Who is next in the Top 3… ? The following are all people I would collect from: Nicolas Varney who excels at bridging dualities and enhancing rare gemstones; Sylvie Corbelin, whose renditions are an invitation to her oneiric world; Silvia Furmanovich, whose imagination knows no boundaries; Elie Top, whose two first collections are like nothing I have seen before, part alchemical, part futuristic; Mauro Felter, who is a true colorist, gemstones being his oil, gold the canvas…. 5- What do you like about jewelry? 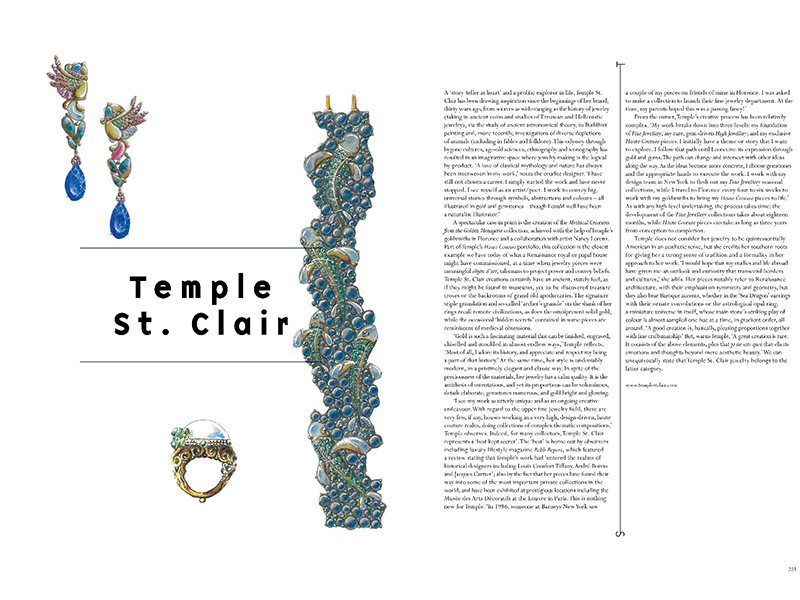 Jewelry making and designing is somehow the ultimate intimate investment, as jewelry is not only wearable but is also bears unique transformational qualities; it is totemic, talismanic, emotionally-charged, beautifying; great jewelry creations are timeless, trans-generational and collectable. 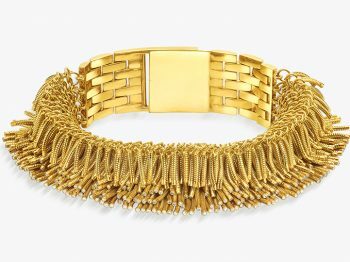 In addition, the sheer variety of styles, origins, ranges of affordability and technological progresses attached to jewelry makes it a captivating topic to follow and love. 6- Based on your selection and what you explain in your introduction – how can a renouveau in jewelry occur? This is the million-dollar question! It would be nice if the renouveau could coincide with more sustainability in practices (recycled gold, fair mining, conflict-free sourcing…). But ultimately a renouveau will come from the consumers themselves and it is already happening: more confidentiality, investing in unique, one-of-a-kind designs, a sort of swing back to when ‘mass-designed’ collections did not exist. 7- How can the word « trendsetter » apply in jewelry? Like the word ‘luxury’, the word ‘trendsetter’ has been devalued because it has been applied too many times. To find most of the real trendsetters, people have to look back: Belperron is one. In the contemporary world, trendsetting in jewelry seems to be often linked to broad fashion trends like using gemstones such as black diamonds, tanzanites or Paraiba tourmalines; like using a cluster of mixed cuts. Fashion jewelry trends can also be defined by styles. For example, ear climbers, double or triple finger rings are the new “it-thing” … this is where it could sit at odds with jewelry as heirloom. 8- What about men’s jewelry? This is not something I have investigated a lot, and I believe jewelry for men is still more commonplace in some cultures compared to others. Although mostly confined to precious cuff-links, bracelets or bangles, and chevalière rings, it seems there is definitely a shift towards proper jewelry for men, as men are now more than ever targeted by fashion, cosmetics and accessories. For instance, high jeweler Alexandre Reza intends to carve a niche for high jewelry for men. He says the challenge is to design pieces that will be so desirable that men will crave them.